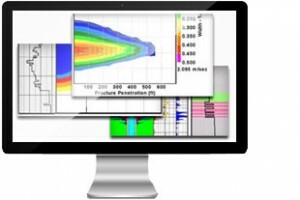 StimPlan™ is a complete and integrated software solution for hydraulic fracture design, analysis, and optimization. With a comprehensive integrated toolkit and the industry’s most rigorous geometry models, StimPlan™ helps operators worldwide maximize their well performance while lowering expenditure and reducing their environmental footprint, however complex their reservoir or fracture treatment design. Post-frac benchmarking studies show that rigorous hydraulic stimulation design and treatment optimization helps both reduce operational problems and significantly improve well performance. Through optimizing the hydraulic fracture treatment, StimPlan™ helps operators not only increase production but also drive down well costs through savings in proppant, pumping, and water disposal. With an ever-increasing emphasis on minimizing the environmental impact of oil and gas exploitation, StimPlan™ also helps ensure environmentally responsible hydraulic fracture operations. Attention StimPlan™ Users : Version 7.2 is available and being delivered electronically to our users. If you have not received this version, please contact our office for distribution and complete installation instructions. The links below contain information about the changes to version 7.2 as well as all other StimPlan™ changes. StimPlan™ incorporates easy tools for importing, editing, and analysis of all the log, pressure, and rate data required for fracture design. Comprehensive databases for fluid and proppant data are also available. Pre- and post-frac analysis tools include well test analysis, minifrac analysis, step down test analysis, and production decline analysis. A range of fracture geometry simulation options are available within StimPlan™, from quick-look pseudo 3D methods to fully 3D gridded methods for more complex problems. The advanced fully 3D finite element simulation ensures that fracture geometry is rigorously modeled, giving more accurate geometry estimates, particularly in complex multi-layered formations. No one has time to create a pump schedule through trial and error. StimPlan™ can calculate this as part of the design process, resulting in a reduction in the time required to generate and select an effective treatment schedule. Post-frac production can be predicted using a range of analytical methods. Alternatively, for more accurate predictions of well performance gains, pre- and post-frac production can be modeled using the 3D numerical reservoir simulator integrated into StimPlan™. The StimPlan™ fracture optimization module integrates fracture geometry modeling, reservoir simulation, and economics to provide detailed production and economic evaluation. This helps maximize well performance and profitability from a planned treatment.